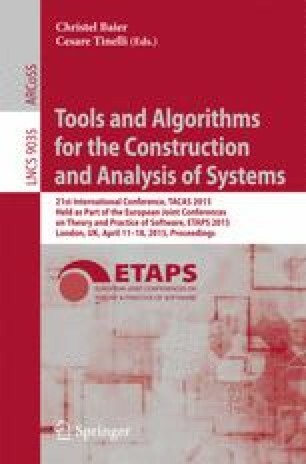 SV-COMP 2015 marks the start of a new epoch of software verification: In the 4th Competition on Software Verification, software verifiers produced for each reported property violation a machine-readable error witness in a common exchange format (so far restricted to reachability properties of sequential programs without recursion). Error paths were reported previously, but always in different, incompatible formats, often insufficient to reproduce the identified bug, and thus, useless to the user. The common exchange format and the support by a large set of verification tools that use the format will make a big difference: One verifier can re-verify the witnesses produced by another verifier, visual error-path navigation tools can be developed, and here in the competition, we use witness checking to make sure that a verifier that claimed a found bug, had really found a valid error path. The other two changes to SV-COMP that we made this time were (a) the addition of the new property, a set of verification tasks, and ranking category for termination verification, and (b) the addition of two new categories for reachability analysis: Arrays and Floats. SV-COMP 2015, the fourth edition of the thorough comparative evaluation of fully-automatic software verifiers, reports effectiveness and efficiency results of the state of the art in software verification. The competition used 5803 verification tasks, more than double the number of SV-COMP’14. Most impressively, the number of participating verifiers increased from 15 to 22 verification systems, including 13 new entries.